Power Input - 1800W No Load Speed - 3200rpm Blade Diameter - 305mm Bevel Capacity Left - 48" Bev..
Wattage = 1400W No Load Speed = 5500 Cutting depth for 0degbevel = 67mm Cutting depth for 45degbe..
Watts = 1550 Input Voltage = 110 Volt Blade Size = 9" / 235 x 30mm Rpm = 4500 Max Cut @ 90 deg =.. Specifications: Power Input: 1500 Watts. Power Output: 742 Watts. Blade Speed: 6300 /min. 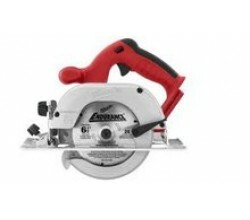 Blad..
TCT Multipurpose Circular Saw cuts Steel, Aluminum & Wood with one saw & one blade. Advanced perf..
Capacity = 20 - 220mm Pipe C/W 4 x Roller Stands Watts = 1400 Input Voltage = 110 Volts Blade 14..